On August 21, 1968, a sellout crowd packed the Civic Auditorium in Honolulu to witness a steel cage match and three other scheduled matches. In the opening match, Klondike Bill defeated Frank Mcfarlane, who replaced an injured Peter Maivia. Klondike Bill suspended in mid-air as he splashes Frank Mcfarlane. Ripper Collins did double duty, he and his tag team partner Masa Fujiwara took two out of three falls from Rocky Hunter and Dean Higuchi. 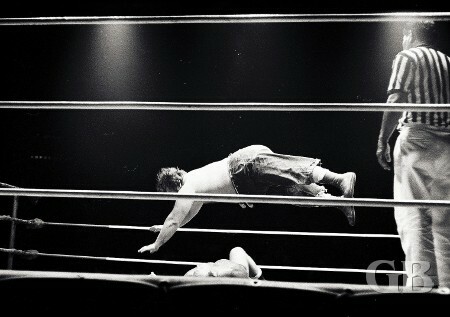 Then Collins subbed for Ray Stevens against Billy White Wolf and lost a one-fall match. Ripper Collins (a last minute sub) begs for mercy against Chief Billy White Wolf. The main event, advertised as "The Cage of Revenge," had Handsome Johnny Barend and The Magnificent Maurice, the current Hawaiian tag team champions, against Jim Hady and Curtis Iaukea in a rematch from three weeks earlier at the HIC. This time the Hawaiian tag titles weren't on the line. 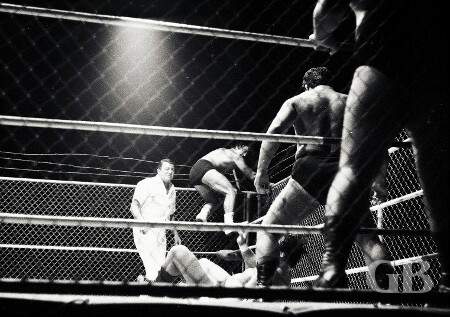 For the match, a wire cage was built around the ring to confine the four wrestlers and the referee. The match was a terrific battle all the way and in the end, Jim Hady and Curtis Iaukea gained two out of three falls over Barend and Maurice to win the match. 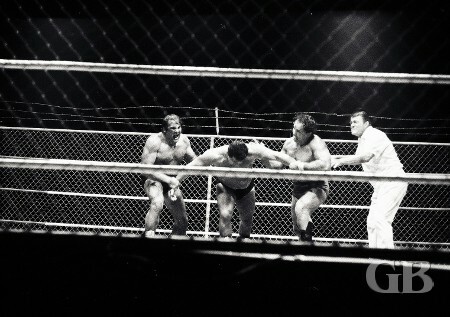 Barend and Maurice about to throw Jim Hady into the ropes and metal fence. Iaukea delivers a blow to Barend as The Magnificent Maurice looks on from his corner. 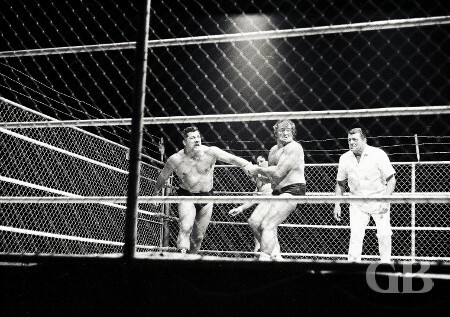 While Barend lays battered on the mat, Maurice attempts to leave the cage as Hady and Iaukea watch. 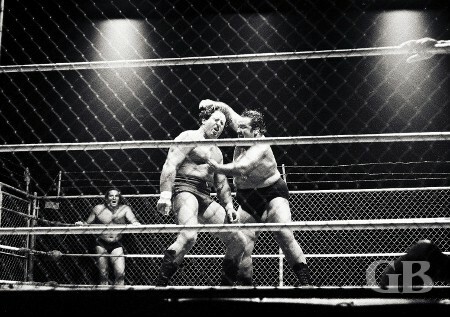 Maurice attempts to throw Hady into the cage wire. Hady and Iaukea embrace after winning the "Cage of Revenge" match.